French judges investigating the death of Palestinian leader Yasser Arafat are seeking to travel to Ramallah to look into allegations that he was poisoned. 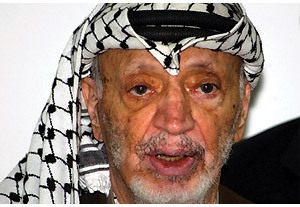 Arafat, who led the Palestine Liberation Organisation (PLO) for 35 years and became the first president of the Palestinian Authority (PA) in 1996, fell violently ill in October 2004 at his besieged West Bank compound. Two weeks later he was flown to a French military hospital in Paris, where he died on 11 November 2004 at the age of 75. The cause of death was described as a “stroke”. Yasser Arafat’s family launched a case last month over claims that he was poisoned with polonium-210, a radioactive element prior to his death. French prosecutors later opened a murder inquiry into the death of Palestinian leader Yasser Arafat in 2004. Swiss scientists hired by a documentary crew say they found traces of polonium on some of Arafat’s belongings. The medical records of Arafat, who died at a military hospital near Paris in 2004, said he had a stroke resulting from a blood disorder. However, many Palestinians continue to believe that Israel poisoned him. Israel has denied any involvement. Arafat’s widow, Suha had brought a Civil suit before a court in the western Paris suburb of Nanterre. The case does not name an alleged killer, but is brought against an unnamed perpetrator X. French officials told the media that the prosecutors had agreed to begin a murder inquiry, by appointing an investigating judge. The French legal system, unlike many other systems, requires the judge to take investigative role in legal proceedings. Earlier it was also reported in various media that President Mahmoud Abbas had officially requested the help of French President Francois Hollande in the investigation. The inquiry stems from an al-Jazeera TV documentary broadcast early in July, which commissioned Lausanne University’s Institute of Radiation Physics (IRA) to analyse Arafat’s belongings, which his widow had kept. The scientists told the channel that they had found “significant” traces of polonium-210 present in items including Arafat’s trademark keffiyeh. In an extraordinary twist to the current controversy over the death of Yassir Arafat a former Mossad agent has stepped forward and revealed the truth about the operation that put Israel’s greatest foe in his grave and the Palestinian revenge that has placed Israel’s greatest warrior and former Prime Minister in a vegetative state. The tale begins as far back as 1982 when Israeli army snipers were prevented from killing Yassir Arafat as he boarded the ship that would take him from Beirut to Tunis. Major Major was one of those snipers and was never able to forget or forgive the frustration that came from the high command refusing him authorization to pull the trigger. It wasn’t until over 20 years later that he finally got permission, as a member of the Mossad to “put things right”. As the condition of Arafat deteriorated it was only Major Major, the Prime Minister and 2 others who knew the real reason for his sudden illness. The reason for the indignation and for the changes made are clear and I need not go into them too much except to say that there was a point behind it. In my story I offered no proof, named no source, I offered no evidence of any kind to anyone that what I was saying was true and even the big fat disclaimer at the bottom of the page didn’t stop the above commenter’s anger at the Times of Israel. The point is clear, assertions can be dangerous, regardless of whether there is any proof behind them. 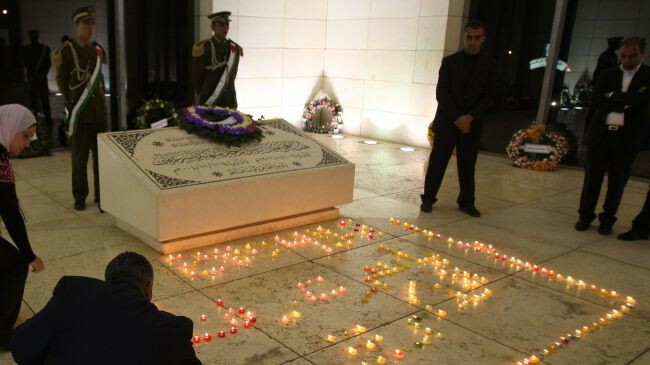 Though there’s nothing new about people loving conspiracy theories, to the best of my knowledge no government has ever desecrated the grave of their most revered leader on the basis of one. Until now. Incredibly, 8 years after his death, Yasser Arafat’s wife Suha Arafat, the woman who refused permission for an autopsy of her husband’s body when he died, has changed her mind and opened an investigation now. A French court will be looking into the events surrounding the death of the man more connected to the Palestinian cause than any other. It’s happening now on the basis of an Al Jazeera documentary that claims to have found traces of Polonium 210 (a radioactive isotope used to assassinate former KGB operative Alexander Litvinenko in London in 2006) on Arafat’s clothing. Steps are now being taken to exhume Arafat’s body to test for this radioactive substance. According to an article in Time Magazine ”The Swiss lab said the traces of Polonium-210 it discovered were not conclusive proof that Arafat was poisoned.” So the very evidence upon which the investigation is being opened is not actual proof according to the same lab that found it in the first place. This admission from the lab has fallen on deaf ears. Already the conspiracy theory has evolved into conspiracy fact in the minds of all those who want to believe that there is something more to Arafat’s death. Apparently Palestinians will gladly suffer the indignity to Arafat of his body being exhumed in order to satisfy their curiosity. This is the curse of the conspiracy theory, the only proof anyone needs of validity is for people to refuse to participate in the witch hunt. Anyone can create a conspiracy theory, even a blogger on a website without any sources. But what happens when a conspiracy theory is turned into a real life cause? A senior Palestinian official says acting Palestinian Authority chief Mahmoud Abbas will ask the scientists of a Swiss lab, who probed Yasser Arafat’s death, to take samples from the late leader’s body for additional tests. On July 3, the Al-Jazeera news channel reported that the findings of nine-month laboratory research conducted at the Institute of Radiation Physics at the University of Lausanne, Switzerland, suggested the former Palestinian leader may have been poisoned by polonium, a rare, highly radioactive element. Palestine Liberation Organization (PLO) leader Yasser Arafat died on November 11, 2004, following several weeks of medical treatment. At the time, French officials refused to reveal the exact cause of his death on grounds of privacy laws, fueling rumors that the Mossad had poisoned him with thallium, another radioactive element. Former Russian spy Alexander Litvinenko was also poisoned with polonium. At a London hotel in 2006, he was given a cup of tea laced with the substance. The Arab Organization for Human Rights in Britain (AOHR) considered the decision of PA President Mahmoud Abbas to keep the same committee led by Tawfiq Tirawi in charge of investigating Arafat’s death as a "disregard for the Palestinian people after eight years of its formation without achieving a noteworthy breakthrough." The organization called, in a statement on Sunday, for forming an independent commission which has no relation with the Israeli or western security institutions. "The time has come for the Palestinian people to say loudly to the PA it is enough that eight lean years have passed without any achievement under the pretext of the inability to end or replace the committee's members who should be investigated," the statement said. The organization added that the PA's insistence to keep the same committee for eight years despite its failure raises many questions about the PA intentions, pointing out that the Palestinian people want a committee of trustworthy experts who have no relation with the Israeli or western security institutions. 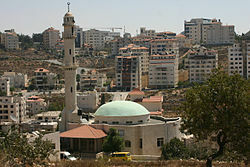 The statement urged the Palestinian Legislative Council, elected by the Palestinian people, to take over the task of forming a committee of Inquiry into the assassination of former Palestinian President Yasser Arafat in cooperation with the international experts who have discovered the toxic substance to oversee the exhumation of Arafat’s body and take the necessary samples to be tested as soon as possible. The Arab Organization for Human Rights in Britain considered the keeping of the same committee since eight years led by Tawfiq Tirawi as a deliberate futility that aims to hide all evidence that may lead to uncover the death circumstances and the real culprits, the statement continued.